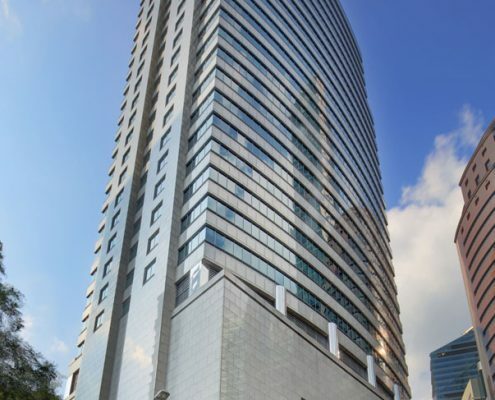 Prudential Tower is one of the extremely rare strata-titled Grade A office buildings for sale in the Singapore CBD. This is due to the fact that most grade A offices are wholly owned by a single commercial landlord or a REIT. And for the other strata-titled offices available for sale, they are much older and occupy smaller footprints. Larger companies looking to acquire their own office space thus have a lot lesser choice. So the arrival of Prudential Tower on the market is indeed a welcome sight for these discerning buyers. The office strata market is very active with buyers eager to get their hands on coveted strata space in the CBD. 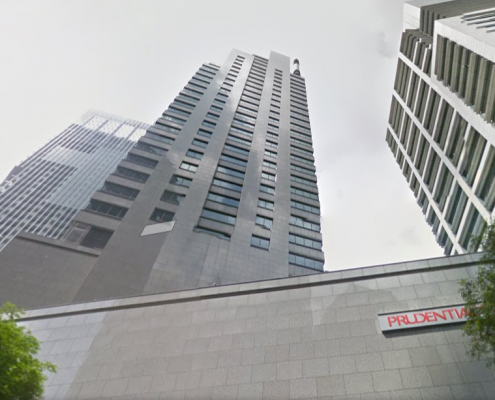 Prudential Tower sits atop a commanding location on the corner of Cecil Street and Church Street, the creme de la creme of acquirable office addresses in Singapore. As what they say in property, location, location, location and besides being 3 minutes walk from Raffles Place MRT, Prudential Tower also boasts excellent and impressive specifications, able to please even the most fussy customer. Column free layouts ensure easy planning and design. Generous carparks, plus an amazing drop-off point, which is rare in itself in the CBD. Besides having the practical advantage of having the drop-off point, the grandness of it also serves an intangible function of showing that all-important client or business associate that they are in the company of greatness. Prudential Tower is also the recipient of 3 awards, 2010 Green mark gold, 2009 Water efficient building, 2003 FIABCI Prix d’excellence award. 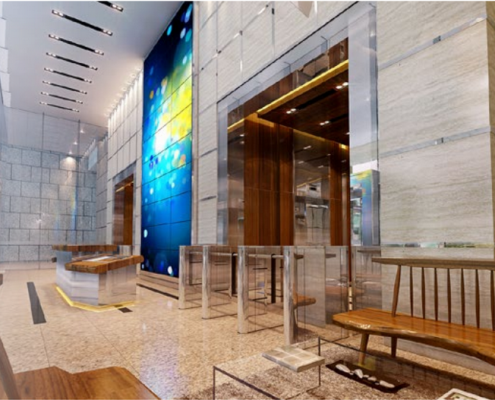 Developed by Keppel Land and boasting such stellar specifications, Prudential Tower is the next level address for businesses looking to upgrade. CALL US TO VIEW YOUR UNITS!